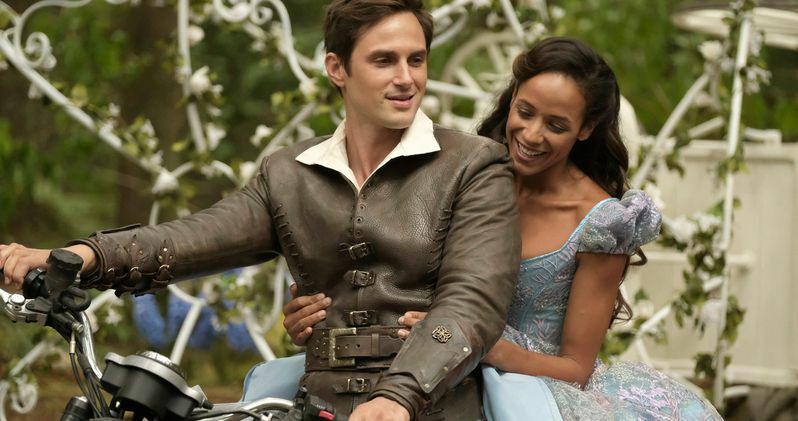 ABC's hit fairy tale series Once Upon a Time will be coming to a close after this current Season 7, it was confirmed by co-creator Adam Horowitz earlier today. The executive producer, who co-created the series with Edward Kitsis, issued an impassioned statement on Twitter, revealing that this current season will be the last for the show's fans, known affectionately as "Oncers." Here's what Adam Horowitz had to say about the final season of Once Upon a Time. "Seven years ago, we set out to create a show about hope, where even in the darkest of times, a happy ending would always be possible. But we never imagined the happy ending that was actually in store for all of usm years and years of adventure, romance, magic and hope. We're so grateful to our brilliant collaborators, the cast, crew and writers, as well as our partners at the studio and network for making this journey possible. But, most of all, we want to thank the fans. Their fierce loyalty and devotion was the real magic behind Once Upon a Time. We hope they join us for these last few hours as we journey to the Enchanted Forest for one more adventure." This current Season 7 was essentially a soft reboot of the show, after the fairy tale series lost its three primary stars, Jennifer Morrison (Emma Swan), Ginnifer Goodwin (Mary Margaret Blanchard) and Josh Dallas (David Goodwin), at the end of Season 6. Rebecca Mader (Zelena) had announced that she was not returning for Season 7 as well, but she ended up returning on a recurring basis. Jared Gilmore (Young Henry) Emilie de Ravin (Belle) and Giles Matthey (Gideon) also left the show at the end of Season 6, but Gilmore returned for the Season 7 premiere, while Morrison was back for the second episode and de Ravin and Matthey came back for the fourth episode of this season. This current season skipped ahead several years, following Henry (Andrew J. West) now as an adult, living far away from Storybrooke, in the Hyperion Heights neighborhood of Seattle. It was also confirmed during Comic-Con that Dania Ramirez will play the new Cinderella, the wife of adult Henry and mother to their child Lucy (Alison Fernandez). This new season follows Henry Mills and his daughter Lucy on an epic quest to once again bring hope to their world and ours. Along the way, new fairy tale characters and old search for true love, find adventure, and once again take sides in the struggle of good against evil as classic tales are once more twisted and reimagined. Lana Parilla (Regina Mills) and Robert Carlyle (Mr. Gold) were among the few original cast members to stick around for Season 7, along with Colin O'Donoghue (Captain Hook). The show has suffered in the ratings throughout this season, down over 21% in total viewers and 41% in the 18-49 demographic from last year's ratings. Once Upon a Time has been hiatus since mid-December, with ABC setting a March 2 mid-season premiere date. Now that it's been confirmed that the show is coming to a close, perhaps it will bring viewers back to see how the show comes to a close. Take a look at the message below from Adam Horowitz Twitter, which confirms Once Upon a Time will come to a close after Season 7.